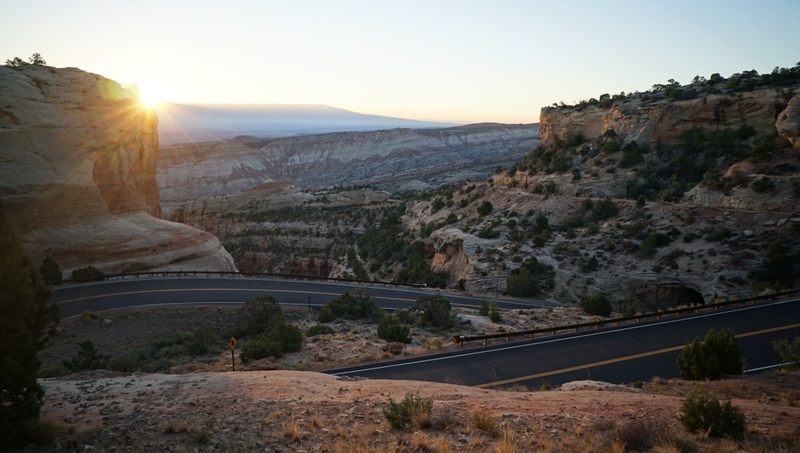 The road up and across Colorado National Monument is a true bucket list ride. 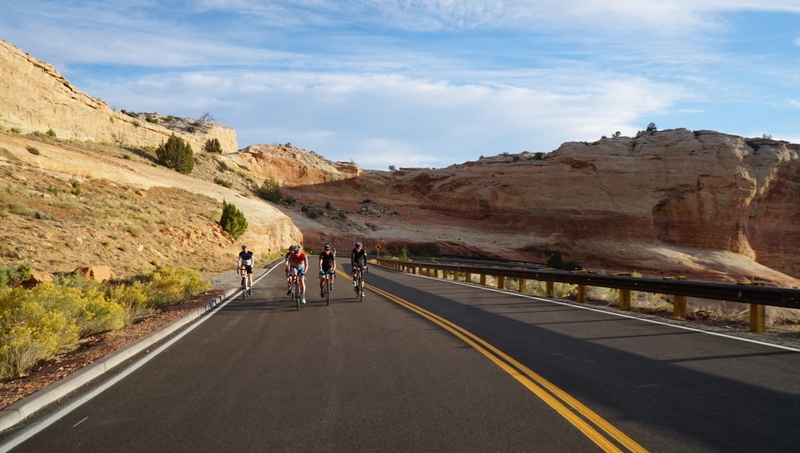 Even in a state replete with amazing road cycling routes, the spin through Colorado National Monument stands out. The red rock scenery is sublime, the smooth pavement is near perfect, and if you sign up to do the ride as part of the Icon Eyecare Tour of the Moon event, you get the benefit of partial road closures, on-course aid stations, and live music, good food, and a beer garden waiting for you at the start/finish line in downtown Grand Junction. 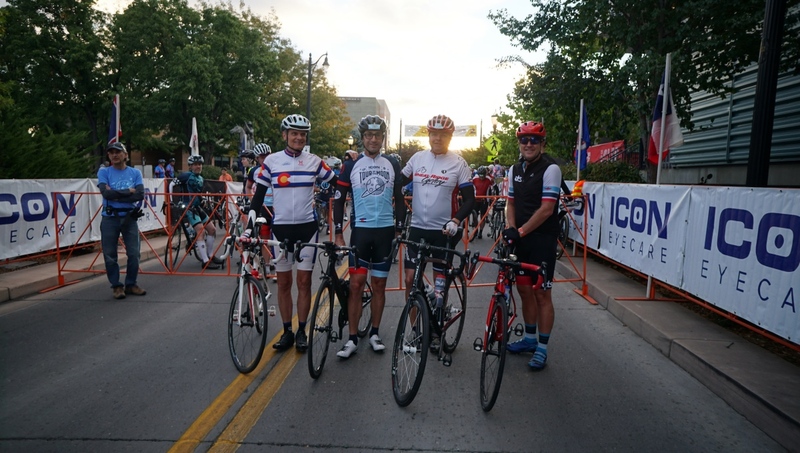 The Tour of the Moon peloton included cycling luminaries (L to R) Bob Shaver, Bobby Julich, Ron Kiefel, and Chris Carmichael. 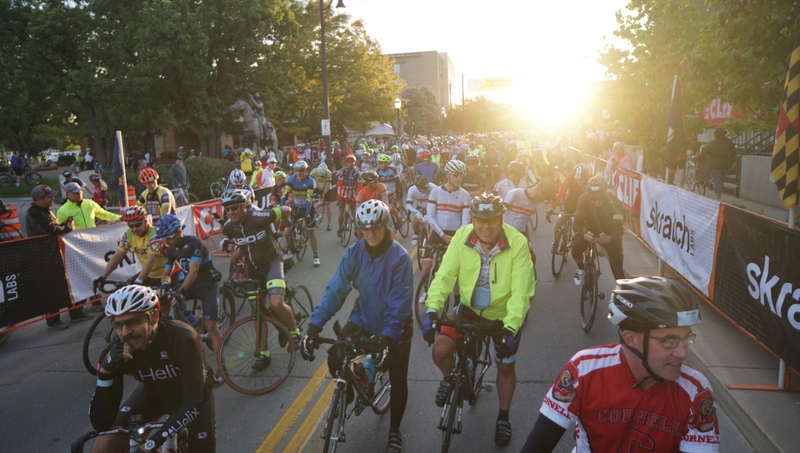 That was the choice for the 2200 riders who showed up for this year’s sold out ride on September 29. More would have joined the sun-splashed fun, but the National Parks Service, which operates Colorado National Monument, caps the event. They also require that all rider’s bikes are equipped with lights front and rear to assure maximum safety when passing through the handful of rock-wall tunnels on the road’s eastern and western ends. Slowly the city gives way to the high desert. 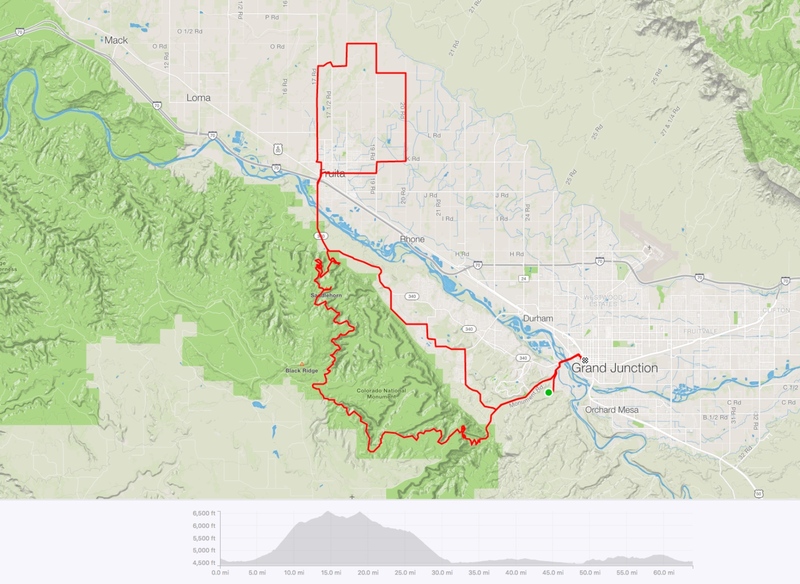 For the uninitiated, the Tour of the Moon route was first made famous as a key stage in the 1980s-era Coors Classic pro stage race, and also in the cycling/centric movie American Flyers, which starred a young Kevin Costner. 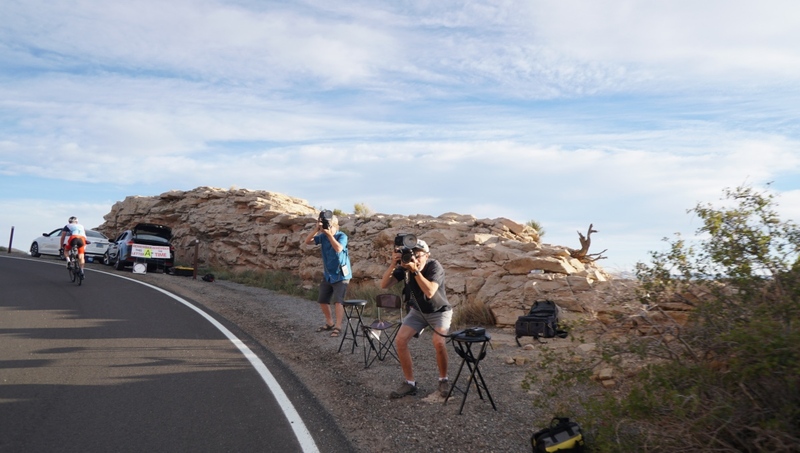 Today, it continues to be a bucket list road cycling ride, with its breathtaking high desert scenery and beautiful roads. 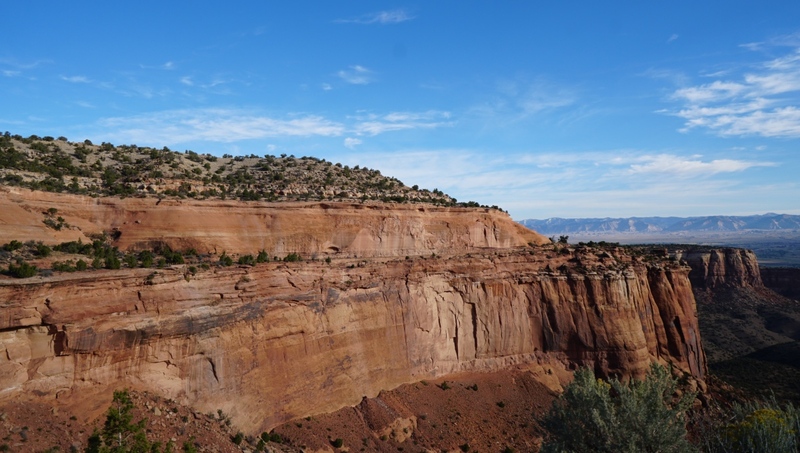 Located on the northeastern edge of the Colorado Plateau on the far western side of the state, Colorado National Monument offers visitors endless vistas of dramatic red rock canyons and monoliths, pinyon-juniper forests, and three seasons of wildflowers. It’s amazing that they managed to carve a road into this place. This year’s Icon Eyecare Tour of the Moon route featured two course options. 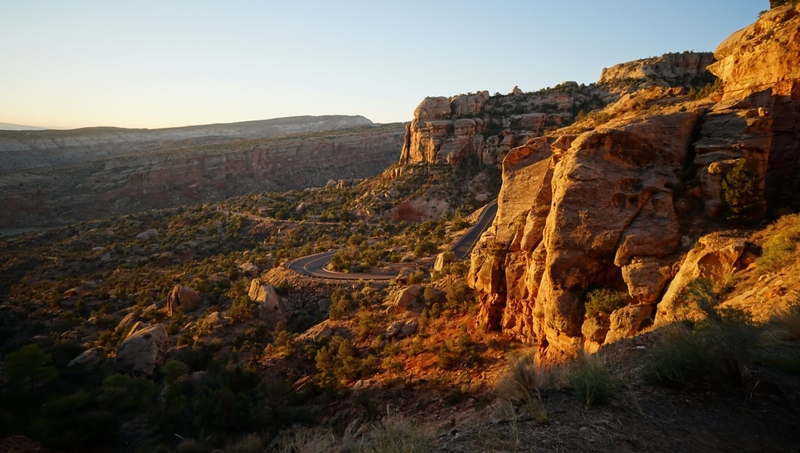 The standard 41-mile loop climbed up the Monument’s eastern flank, rolled gently west across stunning Rimrock Road, then dropped down the west side before returning to Grand Junction via the quiet roads that run along Colorado National Monument’s base. 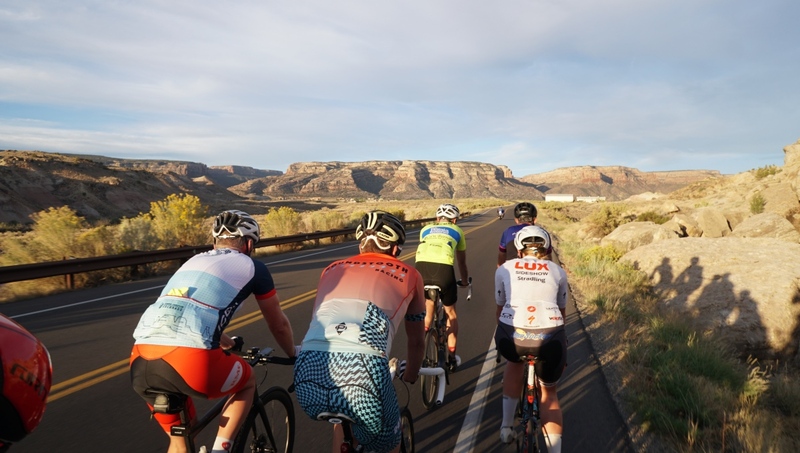 The long route included a little time on the tranquil flat roads that loop around Fruita. 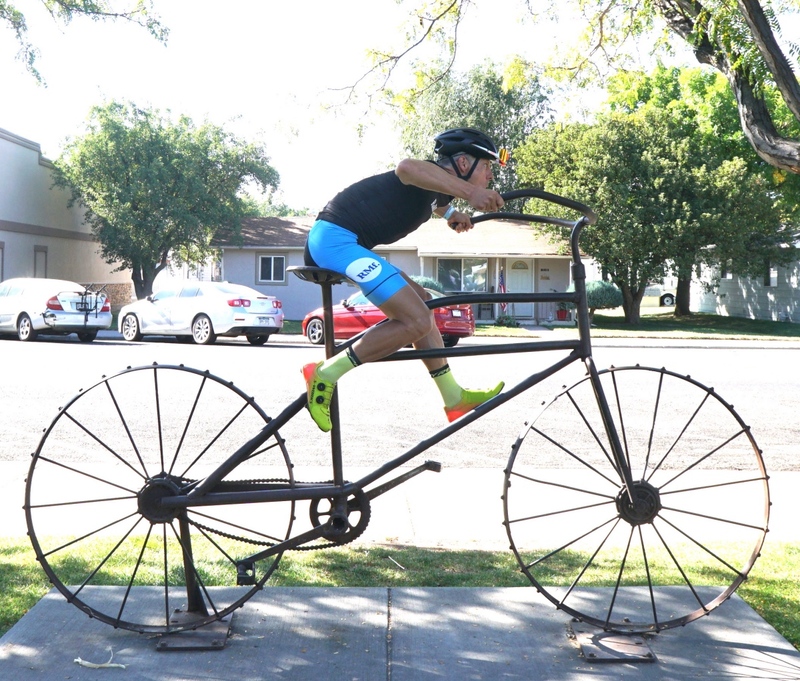 Or if you wanted to push yourself a little harder, you could take the same route through the Monument, but then add an extra 21 miles with a flat road spin around the perimeter of Fruita, a small agriculture and tourist town about 12 miles west of Grand Junction. 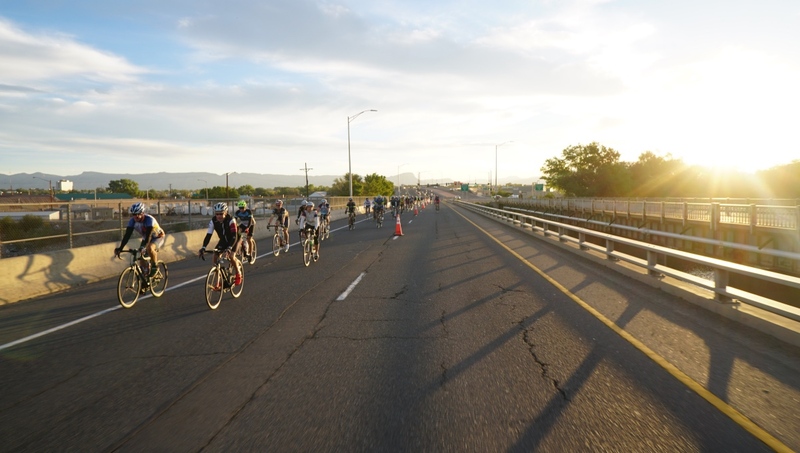 After the Fruita loop, which included a 2.4-mile King/Queen of the Flats section and a well-stocked aid station, the route crossed back over the Colorado River and rejoined the standard loop for the return to downtown Grand Junction. The extra credit pushed total mileage to 62 miles, the equivalent of a metric century. Here’s our GPS file for the long route, which included just shy of 4000 feet of climbing. Here’s the full route map (plus our trip to the start in the morning). Click the image to enlarge. To learn more about the event, head over to www.tourofthemoon.com. And be sure to check out the photo gallery below. All photos courtesy Ben Delaney/ClippedIn Events. 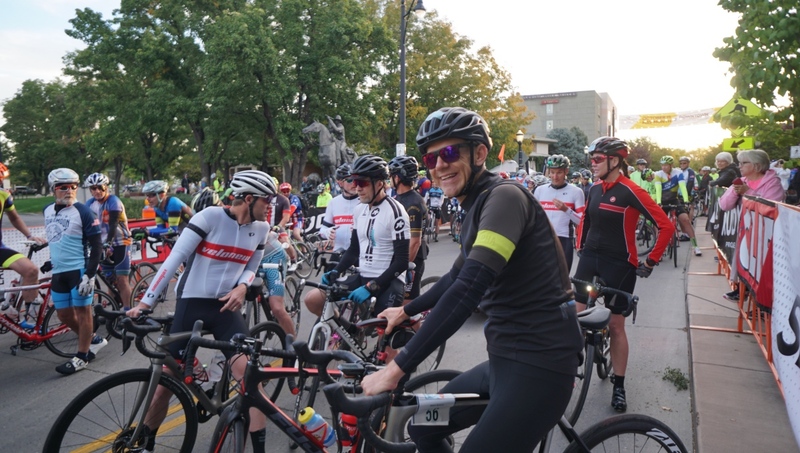 About 2200 riders came out for this year’s Icon Eyecare Tour of the Moon, which started and finished in downtown Grand Junction. With the sun just creeping over the eastern horizon it was time to ride. The route crosses the mighty Colorado River several times. 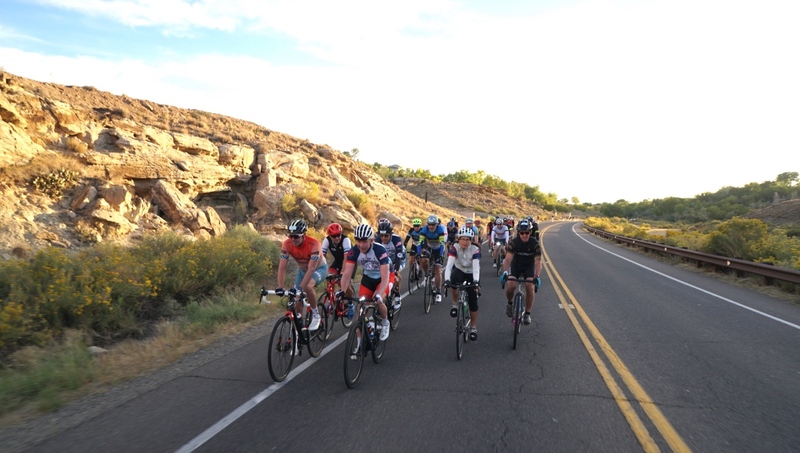 The pace was mellow on the spin out of Grand Junction and up Monument Drive. 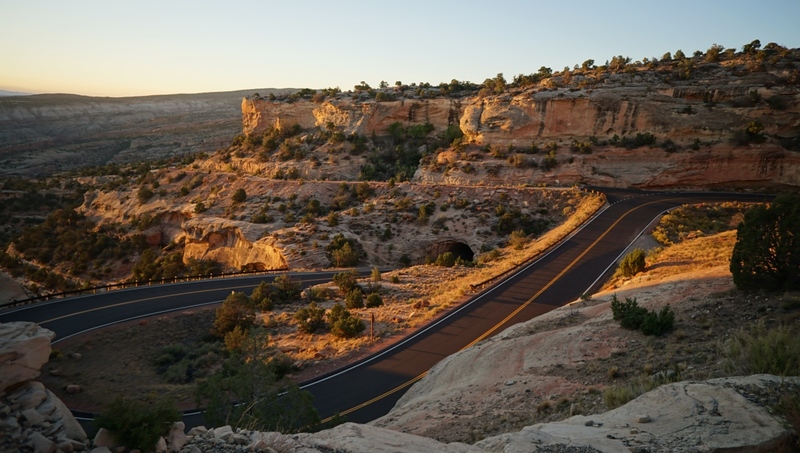 The magical twisting road that leads up and into Colorado National Monument. 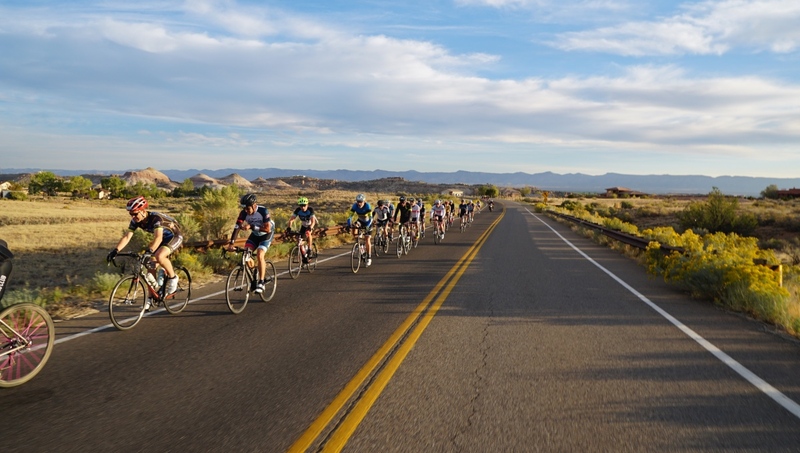 The tough climb forces riders to find their own pace and friends to ride with. These are the kind of switchbacks road cycling dreams are made of. 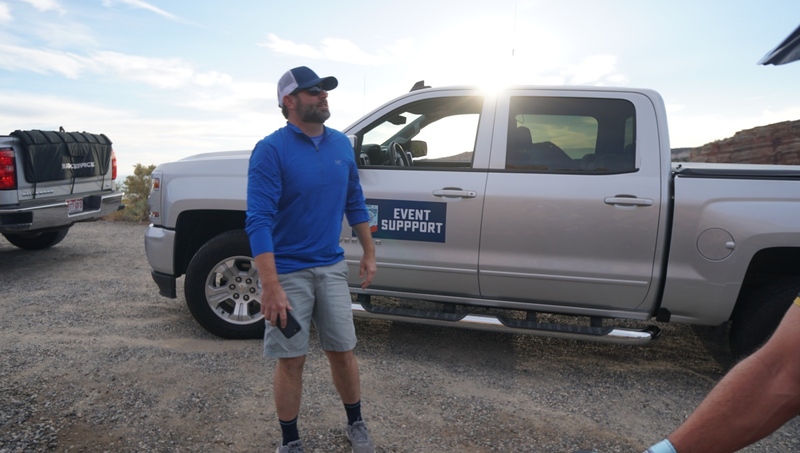 The Grand Valley is one of Colorado’s most fertile regions — and the event’s aid stations were the benefactor. Basking in the glow of Colorado National Monument. 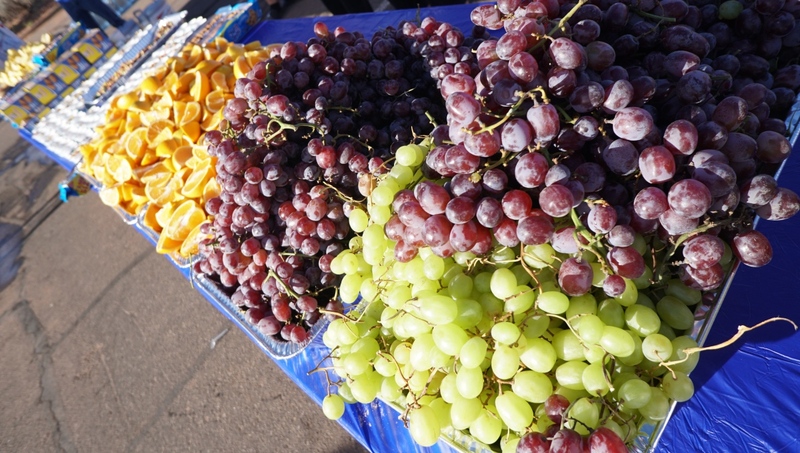 There was plenty of fuel and hydration stops along the route. Once up on the plateau it was easier to sit, spin, and enjoy the scenery. In case you forgot your camera, the event had you covered. 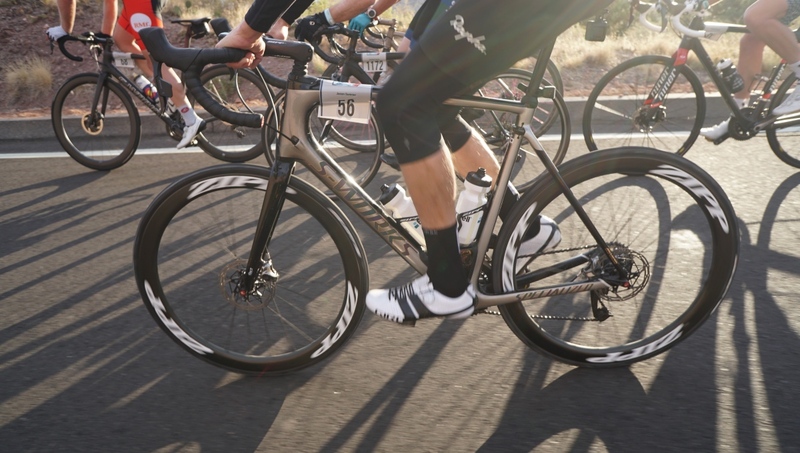 Our steed of choice was this bump taming Specialized Roubaix with SRAM’s superb eTap wireless electronic drivetrain. In case you forgot to pack a few gels. 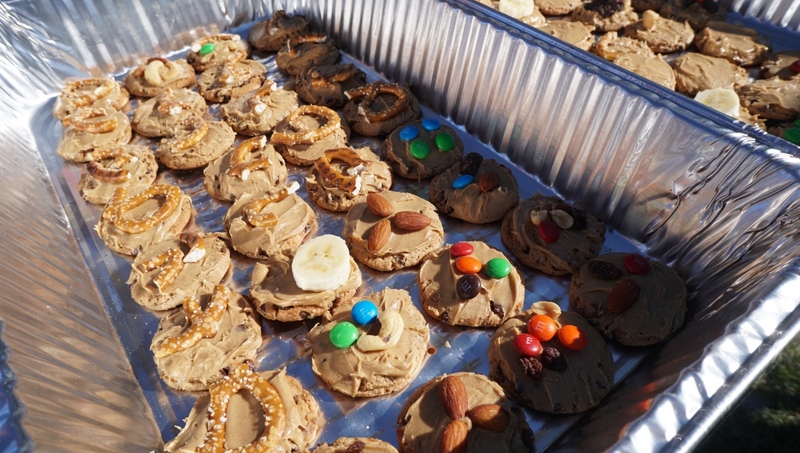 There was also a special doughnut station. Hard to imagine a more perfect place to ride bikes. This guy needs longer legs. This guy needs longer cranks. 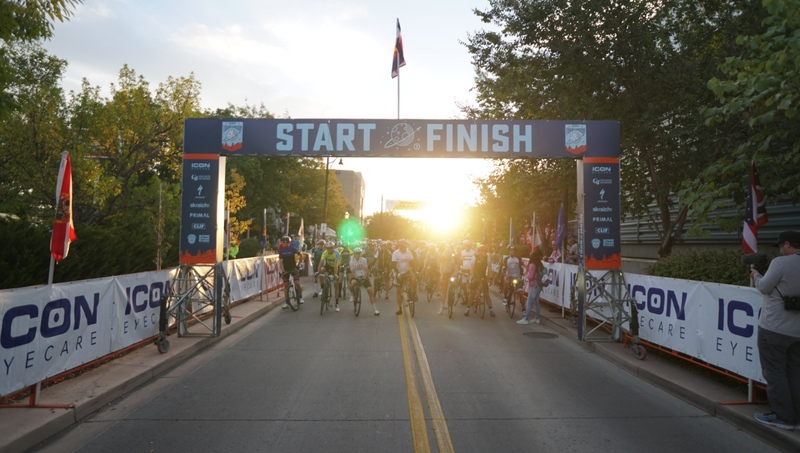 Event staff assured it was safe ride start to finish.